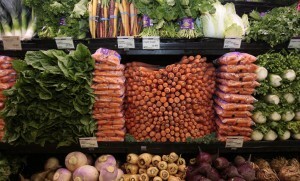 WASHINGTON — The Agriculture Department unveiled new rules on Tuesday that would force retailers who accept food stamps to stock a wider variety of healthy foods or face the loss of business as consumers shop elsewhere. The rules could mean that fewer convenience stores qualify to be SNAP retailers. The convenience store industry has argued that it often operates the only stores that serve certain neighborhoods and at certain times, like overnight. Concannon said the department would try to ensure that the rules don’t affect SNAP recipients’ access to food retailers, and the department may consider waiving the proposed requirements in some areas.